Nonbelievers often dismiss the Gospel accounts of the life of Jesus as myths. Some say he never even lived and/or that the Gospel accounts were fabricated. Others say he did live and that he was a great teacher, but that none of the miraculous events described in the Gospels took place. 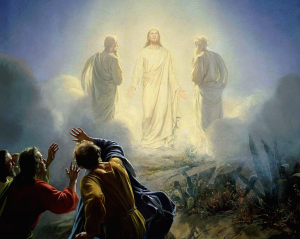 They say that legends developed and that the observations of the disciples became amplified and distorted over many decades or even hundreds of years after the life of Christ. According to a survey conducted in 2000, about 17 percent of the U.S. population considers the Bible as a collection of legends and myths, but among university professors that percentage is more than 50 percent. This is serious, because so many young people lose their faith during the college years. The number of Christians who end up falling away from the faith in college or even high school is alarming. So is the number of non-college bound young people and of people in general who fall away from the faith. The growing number of children who are never exposed to Christianity because they come from atheistic or agnostic families, is alarming. And millions of former Christians end up embracing other faiths such as eastern or new-age religions. It’s largely because they never were exposed to the strong evidence of the existence of God, of the divinity of Christ and the authenticity of the Gospels. It’s one thing to accept the Gospels based on blind faith, which of course is fine. But it should be a duty for those who accept the Gospels on blind faith to become familiar with the historical evidence thereof anyway, because of pressing need to convince others of the importance of embracing Christianity in order to achieve salvation. C.S. Lewis wrote, “Christianity is a statement which, if false, is of no importance, and, if true, is of infinite importance. The one thing it cannot be is moderately important.” Given the abundant evidence of the truth of Christianity, embracing it is of infinite importance for everyone. And in today’s day and age, when “show me the evidence” is a common refrain, Christians had better be equipped to present that evidence. Let me touch on some of that evidence. I’m drawing from several books on this topic. A seminal book that came out in 1998 is called The Case for Christ by Lee Strobel, who was a Chicago Tribune reporter and an atheist. When his wife became a Christian he got so troubled over that prospect that he decided to put his reporter skills to use and start investigating the claims of the Gospels, and prove his wife wrong. To his astonishment, he concluded she was right. After a two-year investigation, he found the evidence overwhelming in favor of the authenticity of the Gospels and of the divinity of Christ – the primary evidence of that divinity being His resurrection from the dead. Another book on that topic, published in 2013, is The Cold Case for Christianity by J. Warner Wallace. Formerly a police detective, he put his detective skills to use in investigating the claims of the Gospels and, like Lee Strobel, went from being an atheist to a committed Christian. The latest book on the subject is Jesus on Trial: A Lawyer Affirms the Truth of the Gospel by David Limbaugh. He also was a skeptic. He started to have second thoughts when a friend of his once showed him a Bible, and how versus of Old Testament Scripture were tied to New Testament scripture in content and theme with remarkable frequency. There’s an oft-heard refrain that the Gospel accounts were written too long after the life of Christ for them to have validity, or that the miracle accounts and particularly the resurrection crept into the written record generations after Christ, long after any eyewitnesses were alive. Skeptics often invoke the “telephone game” in which case each time a story is re-told, copied, or translated, the substance of the story changes until it’s practically unrecognizable from the original story. One may then pose the question, why weren’t accounts of Jesus’s ministry written even earlier, such as during Christ’s ministry and/or within a few years after his resurrection? They likely were. Luke states at the beginning of his Gospel that he sought out the most reliable sources that “were delivered to us by those who from the beginning were eyewitnesses and ministers of the word”. It is likely that in addition to interviewing several eyewitnesses to Jesus’s ministry, he drew from notes and other written sources made by eyewitnesses, sources that no longer survive. Biblical scholars posit that those Gospel authors drew from a very early written text that the scholars call “Q”. Moreover, the written word wasn’t even the primary means of scriptural dissemination back then, given that the vast majority of people, perhaps 97 percent of them, were illiterate. It was the spoken word that was the primary means. Most of the information at the time of Jesus was passed on by means of oral transmission. Memorization of events, narratives and sayings was the dominant method of maintaining historical records. In fact, it was common during Jesus’s time and earlier for scholars to memorize the entire Old Testament. Creeds and hymns were how people learned about sacred scripture back then. Through careful analysis of scripture, Biblical scholars have concluded that the Gospels and Paul’s letters, some of which predate the Gospels, incorporated such creeds and hymns. And they consistently convey that Jesus was the son of God who died and rose again. So it can be discerned that within a few years and no doubt a few months after the crucifixion, the disciples cited the resurrection as the primary piece of evidence that Jesus was God. Regarding the telephone game, that’s a bad analogy. It implies linearity, whereas the Gospels were spread in a more exponential style. David E. Anderson, author of Myth? A Response to the Arguments Against Jesus’ Historicity, likens it to one person telling 10 people, and those 10 people telling 10 more, etc. There are multiple copies and translations of the original Gospels, and multiple copies of those, to the extent that there are still more than 5,000 ancient copies reportedly in existence. And even though those copies were found in a wide variety of places in a wide variety of time periods, those copies are 99.5 percent consistent with each other, writes Anderson. That tells us that the copies weren’t being changed each time, as in the telephone game. 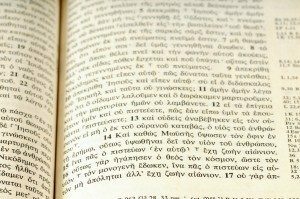 It tells us that today’s copies of the Gospels are amazingly consistent with the originals. Compare that 99.5 consistency rate with the ancient writing that has the second highest consistency rate, Homer’s Iliad. Modern society possesses 643 ancient copies thereof, with a consistency rate of about 95 percent. The earliest copy dates about 500 years after its writing. We don’t have original manuscripts of the Gospels; they no doubt were destroyed or lost during the early centuries, particularly during a time when Christianity was outlawed and plundering and persecutions were rampant. And the writing material used at the time, papyrus, deteriorates easily. In fact, we don’t have originals of any text from around the time of Jesus, writes Anderson, except for those literally written in stone. The earliest surviving complete copy of the Gospels dates from around the mid-300s, with fragments of the Gospels dated earlier than that. The Jewish Talmud acknowledges miracles performed by Jesus, albeit puts a negative spin on them, stating that he practiced magic and sorcery. The Greek historian Phlegon (A.D. 80-140) also mentioned darkness during the crucifixion. The Roman historian Tacitus (A.D. 56-117) admitted several key facts – including that Jesus lived in Judea, was crucified under Pontius Pilate, and had followers who were persecuted for their faith in him. Regarding accounts of the crucifixion in the Gospels, a skeptic could point out the apparently erroneous claim that both blood and water came out of Jesus’s side when he was stabbed. And that he sweated blood in the Garden of Gethsemane. That may seem embellished to most of us, but not to many medical professionals. We non-medical professionals would expect that just blood would come out after being stabbed. In fact, according to Wallace, the flow of water is consistent with what happens when people are injured to the point of death. It can result in increased non-blood fluids in the membrane surrounding the heart or surrounding the lungs. There’s also a known medical condition called hematidrosis, when people sweat blood during intense stress. Moreover, if such accounts were fabricated, we wouldn’t expect the fabricator to describe water coming of out of Jesus’s side in addition to blood, or the sweating of blood – because a fabricator likely would not be familiar with such medical phenomena. Among the strongest pieces of evidence for the resurrection of Jesus Christ is the transformed lives of the apostles. When Jesus was crucified, his followers were said to be discouraged and depressed, given that Jews had been taught that God would not let the Messiah suffer death. And they feared for their lives based on their association with Jesus, so with the exception of the apostle John, they dispersed and hid themselves. But something happened afterward that turned the situation around. Or as Jennifer Fulwiler, a prominent former-atheist-turned Catholic says, something “explosive” happened after the crucifixion, so explosive that it had a profound effect on the lives of the apostles and other disciples of Jesus. That something of course was the resurrection. The risen Jesus so emboldened them that they became fearless. 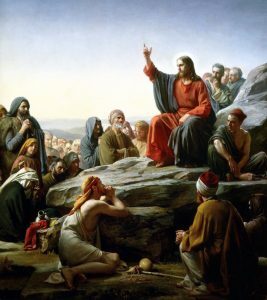 The apostles abandoned their occupations, abandoned established and ingrained Jewish traditions and practices, and became committed to spreading the message that Jesus is the Messiah. They endured tremendous physical and mental hardships in support of that cause, were continually chased from place to place, rejected material wealth, and endured hunger and thirst, rough treatment, and homelessness. They chose poverty in pursuit of spiritual truth. They suffered ridicule, beatings, imprisonment, torture, and finally, for 11 of the 12 apostles, martyrdom. They refused to change their testimony despite torture and the worst forms of execution. Not one of them recanted. Tens of thousands of others were executed for their faith in Jesus during these years. That coincided with an extraordinary emergence and growth of the Christian church. Paul in first Corinthians writes of 500 eyewitnesses to the resurrection. Yet there’s no evidence or writings to suggest that any of these 500 ever recanted, or were ever trotted out by enemies of Christianity in an effort to try to expose the resurrection as false. The above is powerful evidence that Jesus is indeed the Messiah. Perhaps even more powerful evidence are the Messianic prophecies. As David Limbaugh writes in Jesus on Trial, the fulfillment of the prophesies is what tipped the balance of the scales for him in favor of the truth of Christianity, and he continues to marvel at them the more he learns about them. The Old Testament contains dozens and dozens of prophecies about an “anointed one” or “Messiah” in Hebrew who would arrive in the future and redeem Jews and non-Jews alike. The book of Isaiah, written more than 700 years before Christ, discusses a Messiah who would be born of a virgin, suffer and die for the sins of Israel and the sins of the world, who would be despised and rejected, and who would be pierced for mankind’s transgressions. Other books of the Old Testament that contain prophesies include Jeramiah, the Psalms, and Micah. They indicate that the Messiah would be born in Bethlehem, be a descendant of Abraham and David, be from the tribe of Judah, would be betrayed, would be pierced in the hands and feet even though crucifixion hadn’t been invented yet, and that his bones would remain unbroken. The last one is notable because breaking a victim’s legs was a common practice during crucifixion in order to hasten death on the cross. It also was written that His body would not decay but would ascend on high. For more on these and many other prophecies that Jesus fulfilled, click here. A Case for Christ author Lee Strobel interviewed Louis Lapides, a Jewish believer in Jesus. Before his acceptance of Christ, when he first learned about the prophecies, he concluded that Christians must have rewritten the Old Testament and twisted Isaiah’s words to make it sound as if he were talking about Jesus. But then he looked in a Jewish bible and found the same thing. Moreover there are Old Testament original manuscripts dated prior to when Jesus was born that confirm that these prophesies were not added to the Old Testament after Jesus’s resurrection. For example the Dead Sea Scrolls, discovered in 1947, were written some 200 years before Jesus lived on earth. What about fabricating or embellishing the Gospels to make it look like Jesus fulfilled the prophecies? That relates to what this paper is all about: the Gospels, all the way down to the details, are authentic. There are no testimonies from people living at that time suggesting that the events described in the Gospels did not happen. Not even the Jews opposed to Jesus discredited those events. “Even though the Jewish Talmud refers to Jesus in derogatory ways, it never once makes the claim that the fulfillment of prophecies was falsified. Not one time,” said Lapides. Or, could the fulfillment of all of these prophesies be just an extraordinary coincidence? Odds of that happening are so astronomical that it’s impossible. Strobel recounts that someone did the math to figure out the probability of just eight of the prophecies being fulfilled. That probability is one in a hundred million billion. Another mathematician calculated the probability of 48 of the prophecies being fulfilled. The result is one chance in a trillion to the power of 13. The Messianic Prophecies, the early appearance of the Gospels, the transformed lives of the apostles after the Resurrection, and numerous other pieces of evidence described in the aforementioned books all point unequivocally to the divinity of Christ and authenticity of the Gospels. The rising number of atheists, agnostics, and fallen-away Christians indicates that an increasing number of people evidently consider the Gospels to be of no importance if not of moderate importance. But as C.S. Lewis points out, the Gospels cannot be of moderate importance, because they deal with where we’ll spend eternity. And the abundant documentation attesting to the truth of the Gospels means they cannot be of no importance. That just leaves one thing: they’re of infinite importance – for every man, woman and child on earth. According to Overman, one way of deducing this is the presence of words and phrases not characteristic of a particular New Testament author, suggesting the material was composed by someone else. Another indicator is a preference for participles over finite verbs, suggesting an original oral provenance for the material. Or the use of verbs having to do with teaching or preaching. Moreover when one translates creeds and hymns incorporated into the New Testament from Greek back into the original Aramaic, they often translate readily back into the Aramaic language, and have rhythmic patterns and lyrical styles suggestive of oral transmission.